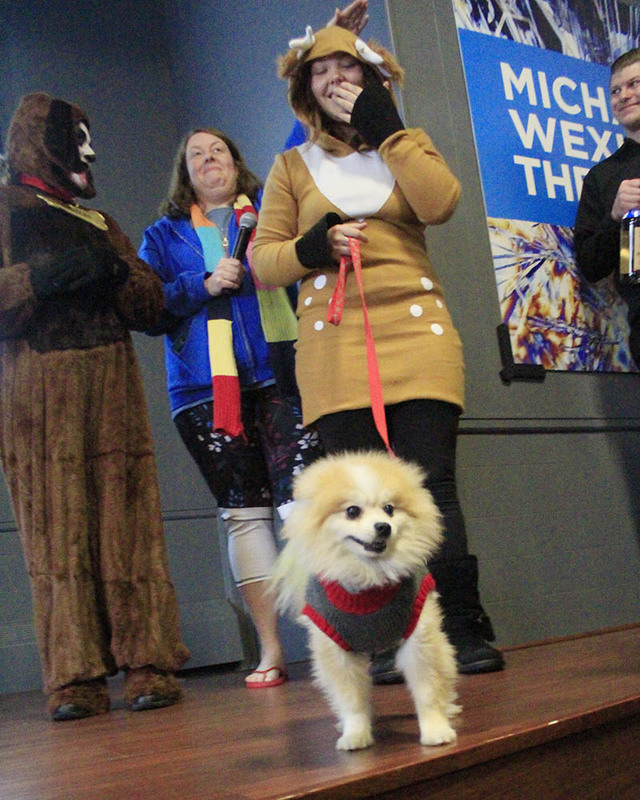 Melt into the 17th annual Homewood Chocolate Fest on Saturday, Feb. 16, and you'll find plenty to lift you from the winter blahs. The fest features artisan chocolatiers and bakeries with treats for sale, a truffle-making demonstration and activities for kids. 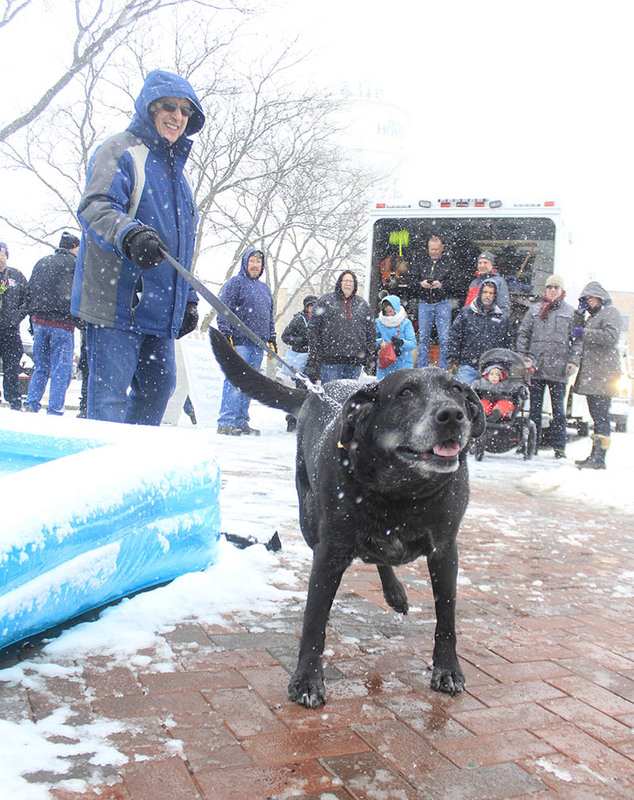 Annie arrives at the Mayor's Arctic Dip with her human, Mayor Richard Hofeld in tow. Homewood Mayor Richard Hofeld says a few words before the Arctic Dip gets under way. 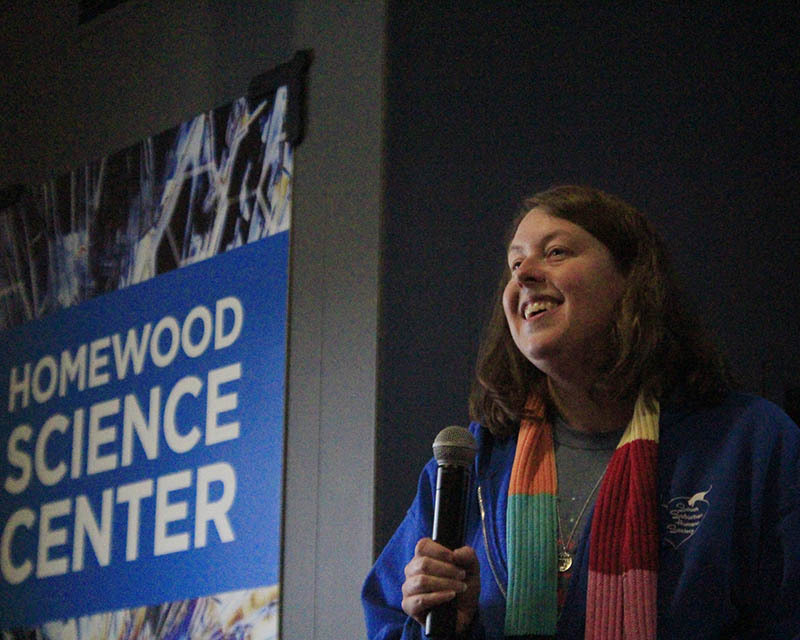 SSHS Director Emily Klehm thanks the village staff, Homewood Science Center and sponsoring businesses for supporting the event. 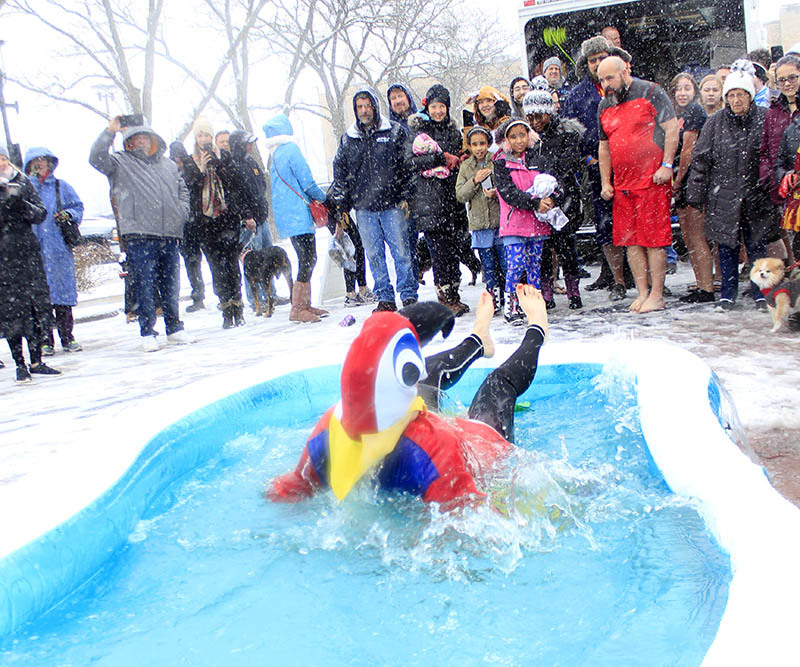 Lizz Molina, in her parrot costume, takes a backwards plunge into the frigid pool. 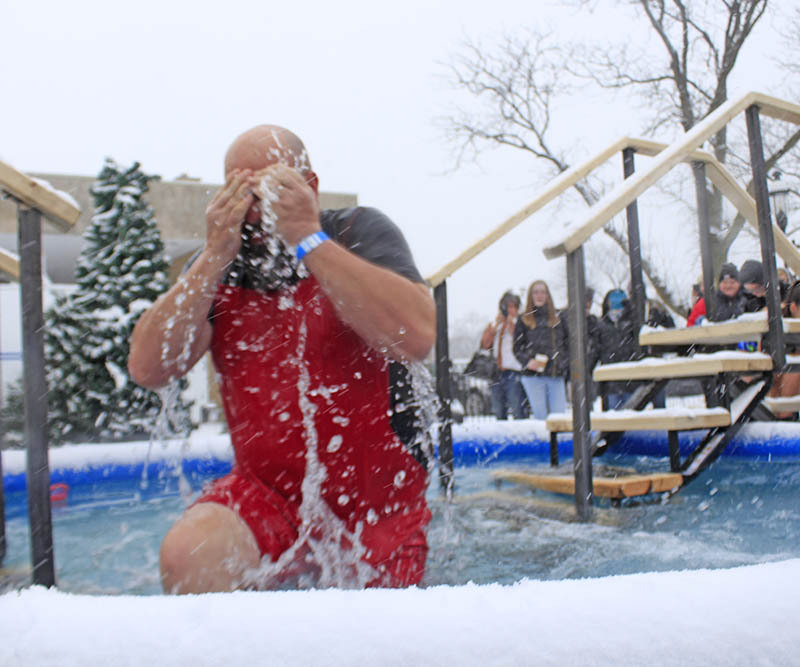 Troy O'Quinn, a member of the Homewood Community Relations Committee, comes up for air after a cold dunking. 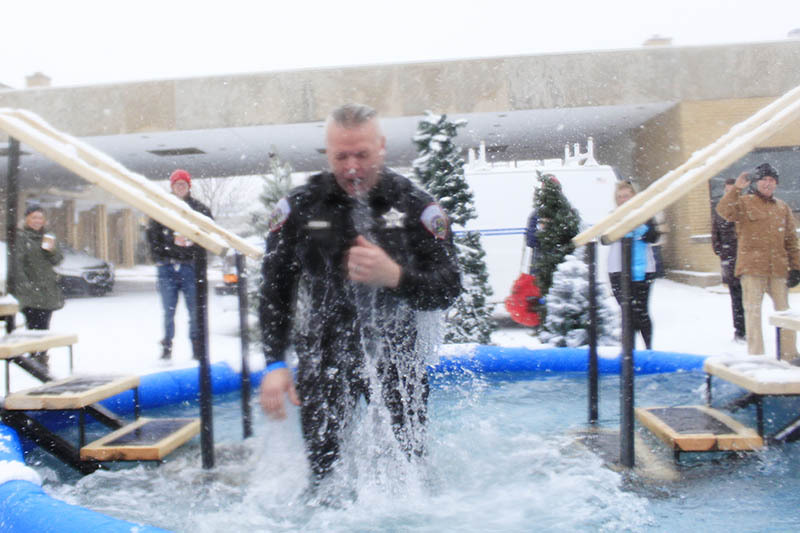 Police officer Brian Beauchamp did the dip in full uniform. 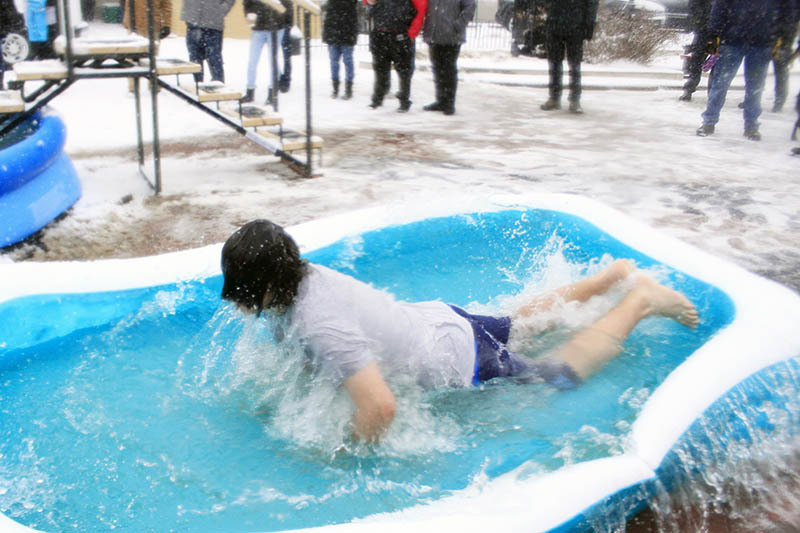 Phil Komorowski shows it's possible to make a grand entrance into a wading pool. 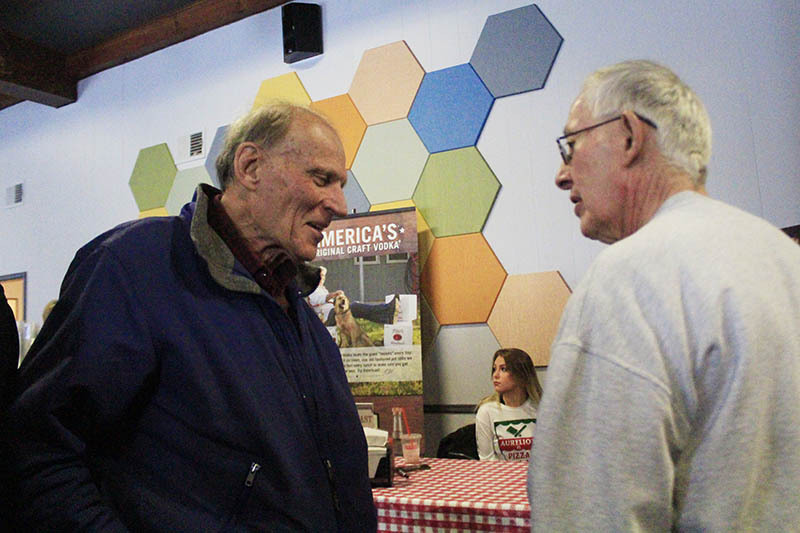 Mayor Richard Hofeld, right, talks with Claude Gendreau, who did the dip and made a large donation to the SSHS building renovation fund. 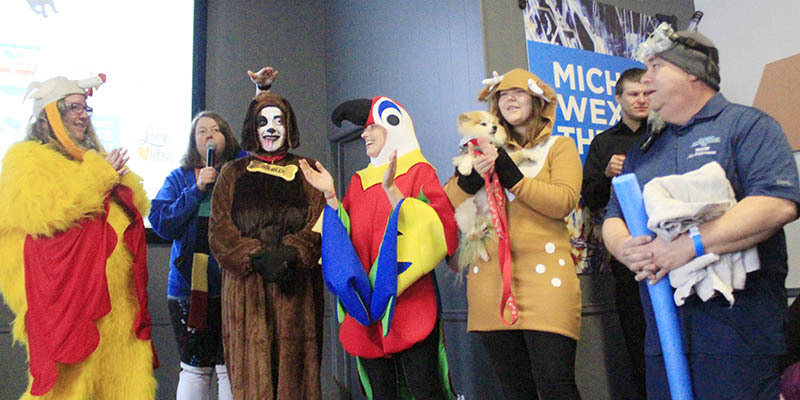 Participants in the costume contest line up for judging. Rhoda Gorbuscha, dressed as a reindeer, with her canine assistant, Pedro. Stairs to increase safety at the event were built by Chris DeWall of the Homewood Public Works Department. 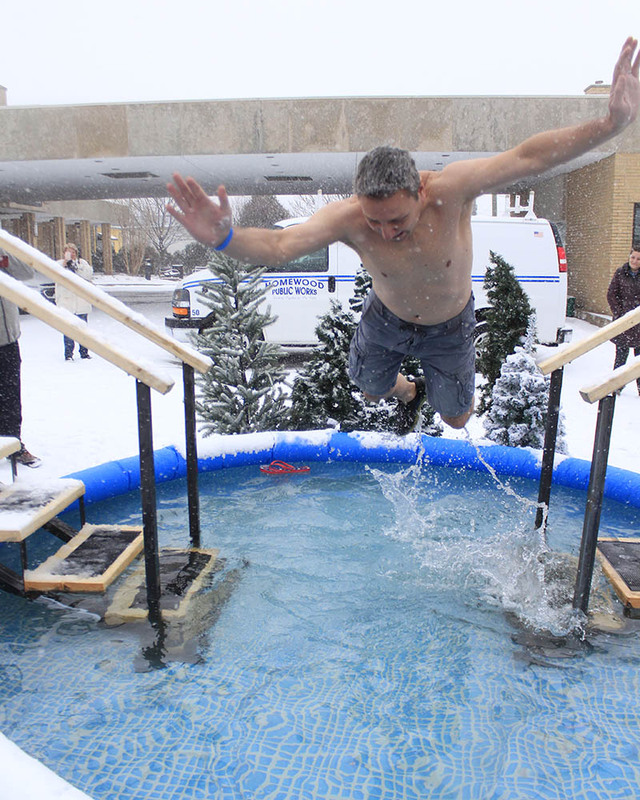 The first Mayor's Arctic Dip on Saturday, Jan. 12, used the anniversary of a near-tragedy to have some fun and help prevent tragedies in the future. 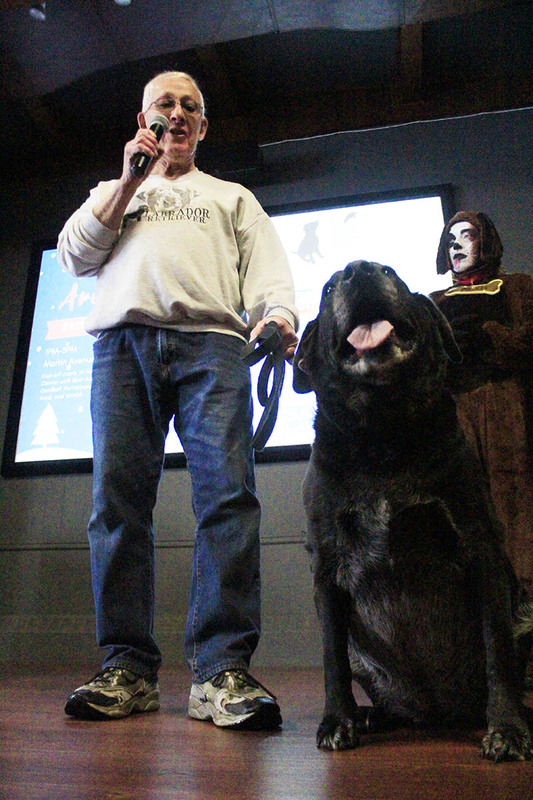 A little more than a year has passed since Homewood Mayor Richard Hofeld risked his life to rescue one of his dogs, Annie, who was unable to climb out of the frigid water of a lake at Izaak Walton Nature Preserve. 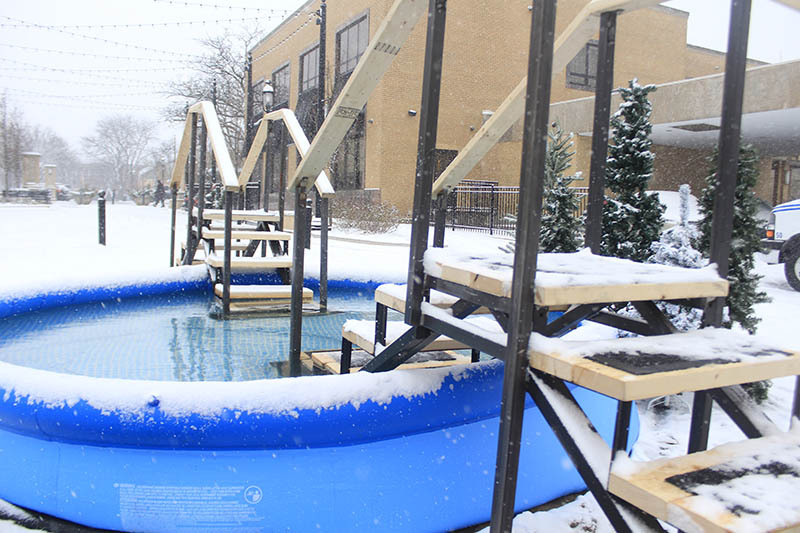 On Saturday, Jan. 12, the village, local businesses and the South Suburban Humane Society partnered in the first Mayor's Arctic Dip, a fundraiser that will help rescue many more animals.